Tottenham Hotspur are up to second in the Premier League table after edging past Newcastle 1-0. 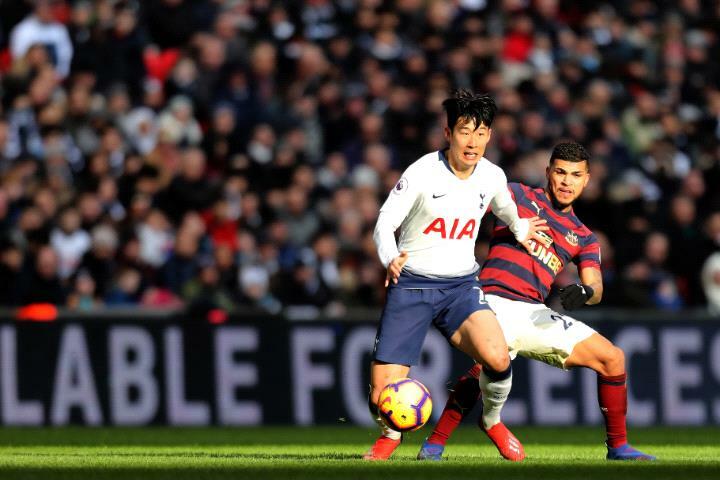 The sides looked to be heading towards a stalemate before Son Heung-min struck from 20 yards out in the 83rd minute. Gonzalo Higuain and Eden Hazard both scored twice as Chelsea returned to the top-four with a thumping 5-0 win over bottom-of-the-table Huddersfield. Cardiff also picked up a valuable three points in their battle against the drop, overcoming Bournemouth 2-0 to move with two points of 17th placed Burnley, who were held to a 1-1 draw at home to Southampton. Elsewhere, Everton's poor form continued with a 3-1 loss to Wolves at Goodison Park while Brighton's clash with Watford ended goalless.